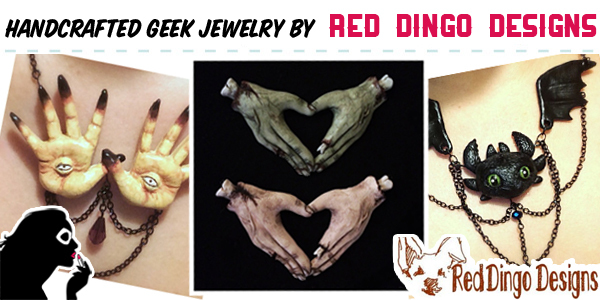 From Pokemon to Pan’s Labyrinth, Alien to Avatar: The Last Airbender, Red Dingo Designs has you covered with intricately detailed, gorgeously handcrafted resin jewelry pieces that are sure to stun and impress! Australia is home to not one, but two, awesome clothing companies ready to dress the geeks of the world! 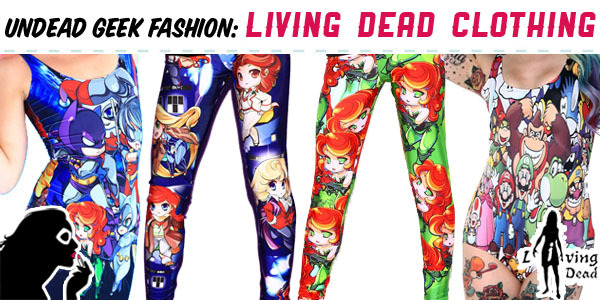 Launched in 2012, Living Dead Clothing is one of the many companies to have started in their wake, making their unique mark on the spandex clothing world with their design motif of chibi and zombiefied character artwork. Featuring mashups of fandoms, from Disney Princesses dressed as the Doctors to Batman characters as kitties, their designs and artwork set them, and your wardrobe, apart! Having lived by the coasts most of my life, Memorial Day weekend always signifies the start of summer. Even better, it means I get to start buying cute swimwear. 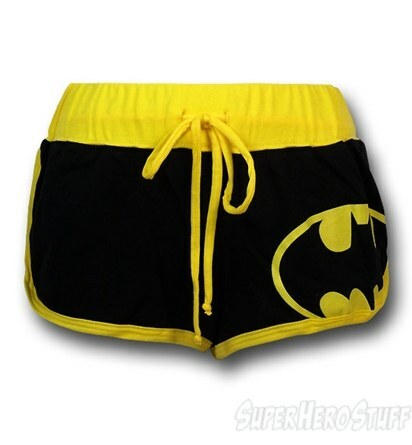 I scoured the internet to find the best licensed and handmade geek chic swimwear out there. 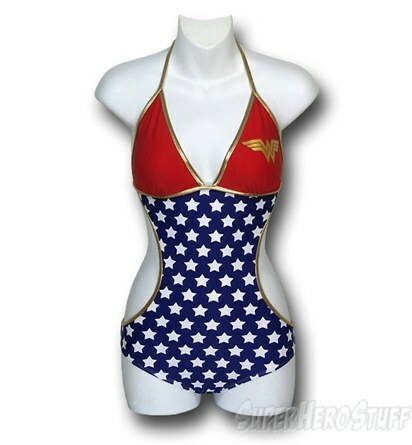 First comes this collection of DC comic swimsuits from Super Hero Stuff. 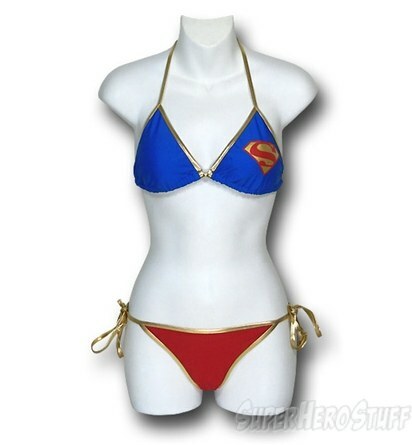 They carry bikinis, monokinis, and board shorts featuring Super Girl, Wonder Woman, and Batman.